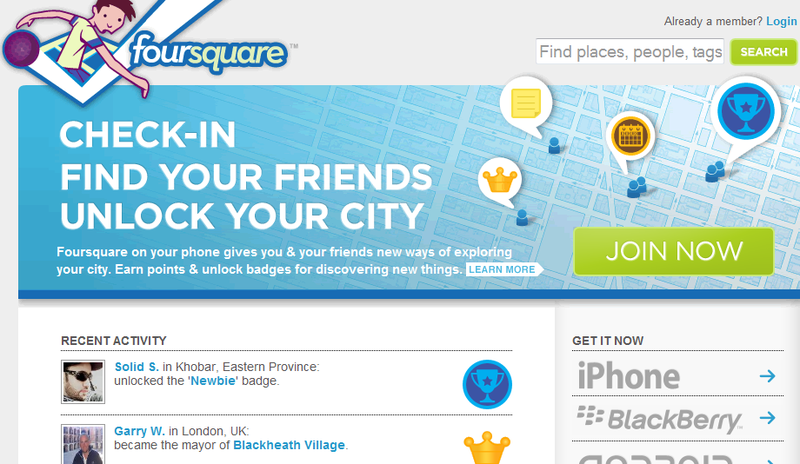 Foursquare is one of the most exciting local social networks around. It makes it so easy for small businesses to reach out to their community and for people to explore their cities more effectively. Regardless of what you think of Foursquare, there is no question geo-location services are here to stay. So why not take advantage? This community has its advantages for business, but you don’t have to be more than just a user to start sharing your experiences with your friends and the world through your website. FourSquare Integration: enables you to integrate Foursquare into your WordPress blog (inside your posts or in your side-bar). It’s customizable too. 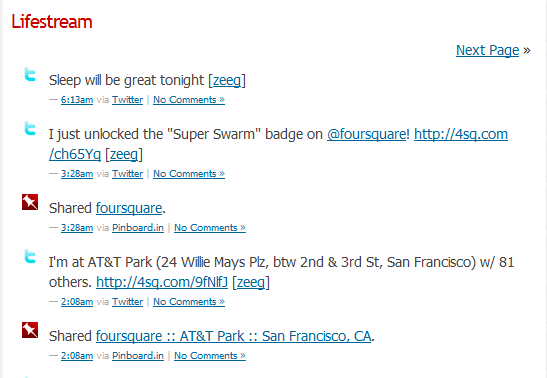 My Foursquare: display your Foursquare badges and mayorships on your WordPress with this awesome plugin. You probably need to be a bit active in Foursquare to take full advantage of this. gPress: a powerful WordPress plugin that lets you add geo-layers to your website. 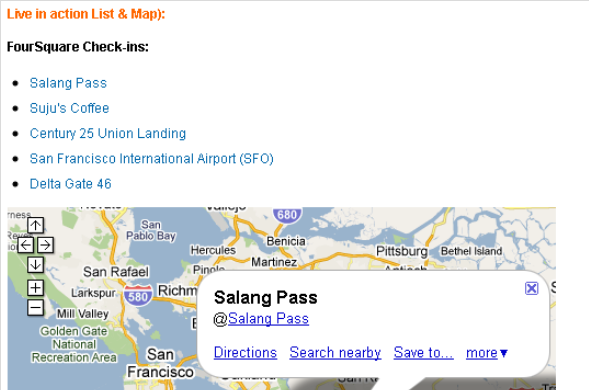 Can be integrated with Foursquare and BuddyPress. Foursquare Map: makes it easy to share your last check-in location without needing to give away any personal info nor do you need to be an expert in mapping APIs. 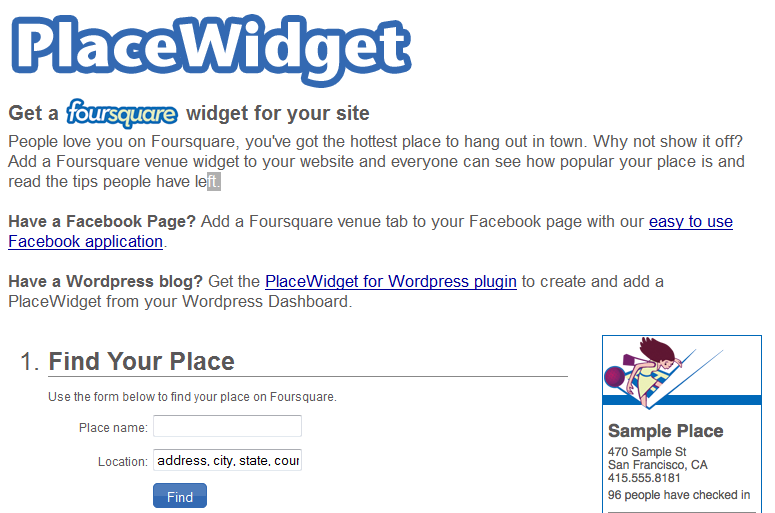 PlaceWidget for WordPress: makes it easy to add a widget from PlaceWidget.com to your WordPress website. A decent choice for businesses. Lifestream: it does not need any introduction. 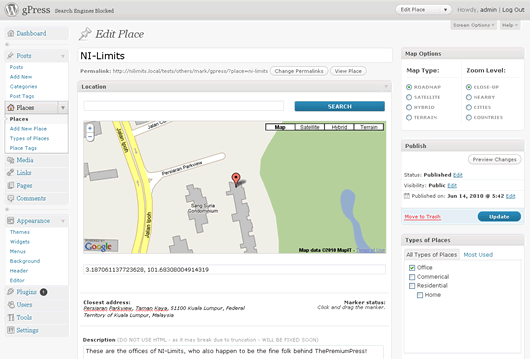 It’s one of the best plugins to share your activities in Twitter, Facebook, Foursquare and other sites with the world. BP Foursquare API: a library for your BuddyPress powered website that enables you to connect it to Foursquare. Foursquare and other geo-location services are here to stay. The above plugins make it a tad bit easier to integrate Foursquare into your WordPress website and share your experiences with the world. 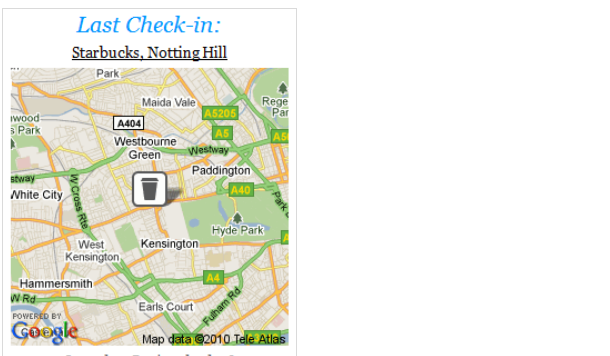 I released a Wordpress widget to show your latest Foursquare checkins including venue icon in your sidebar.